In 1969, Thin Lizzy formed in Dublin and went onto to write and perform many songs through-out the years. The Thin Lizzy band played hard rock but they did also performed songs that would be seen as country and also traditional folk music. Their talent for performance and song writing made them famous internationally and one of their best hits “The Boys Are Back in Town from 1976 still gets played today by many radio stations around the world. Phil Lynott was originally known as the front man for Thin Lizzy who was the song writer, bassist and singer. His talent for song writing really brought the songs of Thin Lizzy into life with intelligent lyrics and unforgettable guitar riffs. Thin Lizzy was also well known for one of the first rock bands to implement a technique called the twin guitar clash, a double lead guitar harmony that was pioneered by Wishbone Ash from the UK. They used the twin guitar clash technique in songs such as “Cowboy Song” and “The Boys Are Back in Town”. Although Thin Lizzy formed in Dublin the band had decided to move to London in 1971 for a better chance of success within the music industry. By 1973, they had their first hit with their version of the Irish traditional song Whiskey in the Jar and in 1975, their album “Fighting” became a hit and then their following album a bigger hit, known as Jailbreak. Thin Lizzy had went through many changes over the years with old members leaving and new members joining but the band was mainly led by Phil Lynott and Brian Downey. In 1984, Lynott left Thin Lizzy to concentrate on his solo career which saw the end of Thin Lizzy, for the meantime. Phil Lynott had some success with his solo career but unfortunately died in January 1986 due to drug abuse. 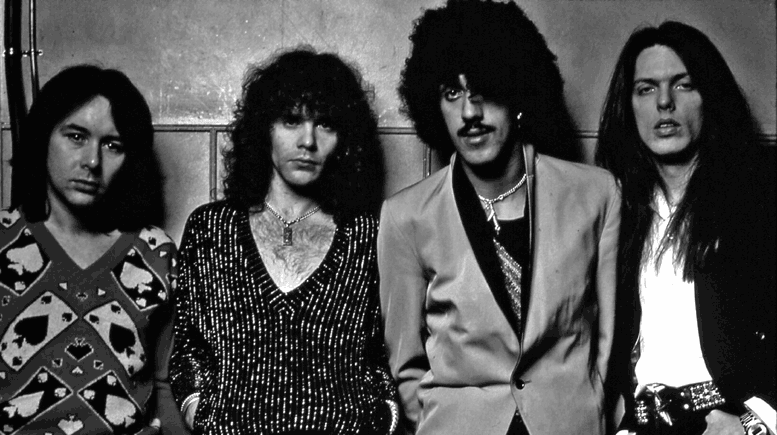 In 1999, the remaining members of Thin Lizzy reunited for a tour of Europe and a recording of a live album and to date have toured the United States and are still touring in 2006.